The Second Stage in Metropolitan League just started. Here is the last round review presented by ESL. The biggest surprise of round 1 in Metropolitan League took place in Luque where host Luqueno (1-0) crushed Campo Alto (0-1) 79-58 on Saturday evening. Campo Alto will play next round against strong Felix Perez trying to make it back to the top of the standings. Luqueno will try to continue on its current victory against Ciudad Nueva at home. The most crucial game of the last round was a loss of Libertad (0-1) in Asuncion. Hosts were rolled over by Olimpia (1-0) 90-64. Olimpia's supporters look forward to an exciting derby game next round, where their team will travel locally in Asuncion to the arena Sol de America. 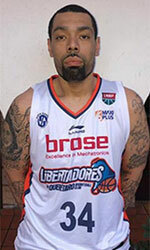 An interesting game was played in Asuncion where Ciudad Nueva (#2) beat host Felix Perez (#3) 80-69 on Saturday evening. Ciudad Nueva will meet Luqueno on the road in the next round and it will be for sure the game of the week. 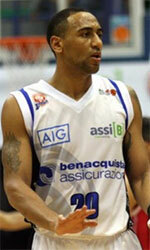 Felix Perez will play against Campo Alto and it may be a tough game between close rivals. Another exciting game was a derby match between two teams from Asuncion: San Jose (#3) and Sol de America (#4). San Jose (1-0) crushed visiting Sol de America (0-1) by 32 points 92-60. San Jose's supporters look forward to another derby game next round, where their team will face at home their local rival from Asuncion Libertad.